To avoid the traffic jam Apple will let the iOS 5 cat out of the bag October 12, two days before the new iPhone 4S goes on sale. Apple announced about an hour ago that the iOS 5 update will be available as a free download, and will bring a number of new features to Apple's mobile operating system. That's Notification and Game Centers, iMessage, Newsstand - over 200 new features in total. iOS 5 will be available for the iPhone 4, iPhone 3GS, iPad 2, iPad, as well as the third and fourth generation of iPod touch. A full recap of the new iOS 5 stuff you can read in our dedicated article. In sync with the iOS 5 launch there will be another hotly anticipated by Apple gadget owners service going live. 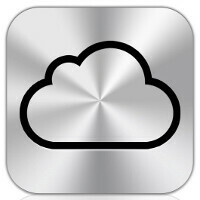 iCloud will be open for business October 12 as well, allowing you to keep all your iOS devices' content in sync, wirelessly, with daily backup schedules if you so wish. That's contacts, calendars, mail, photos, and music getting along together on all your fruity gadgets.